Value Care at Home is a value-driven and client centered Licensed Nurse Registry in the State of Florida with locations in Broward, Hillsborough, Miami-Dade and Palm Beach Counties. Pay Less. Get More Care! At Value Care our first objective is finding qualified and compassionate caregivers to provide hands on, personal care for people who need it most. We eliminate the worry surrounding finding competent, affordable care. We work diligently to find our clients qualified professionals to give personal care assistance. Whether our clients need occasional help around the house or an around the clock personal care professional, we will find the right option for every need. Because our clients are looking for more help and less worry, Value Care has designed a number of industry leading programs for them. For example: our First Day Satisfaction GUARANTEE allows you the peace of mind that your personal caregivers will work to meet your expectations during their very first visit. Our clients also desire that their caregiver’s personality will mesh well with theirs. Value Care does the upfront work to remove the trial and error that clients face on their own. In addition to screening all caregivers who register with us for background, qualifications, and credentials, we also conduct tests of our own. We call this our FIVE STAR PROMISE, which means that caregivers we refer meet higher standards for experience, client transfer techniques, communication skills, and solid references. The information shown on this page is just a summary of some of the reasons families ask Value Care to refer caregivers who provide these and many more care services. For More Detailed Information please click here OR if you prefer please feel free to Call Us with any questions you may have. We are always happy to assist you in any way we can! 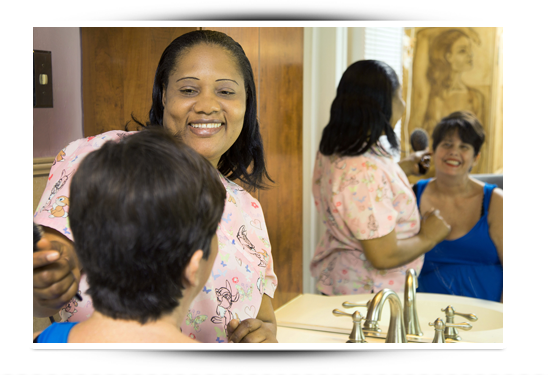 These personal care professionals also provide errand assistance, transportation, and companionship. Through our Care Match Program we consult with each client to determine their individual needs. We keep costs and worry down with lower overhead, and by not charging for unnecessary things like upfront deposits.